Google announced the first Google eBooks-integrated e-reader on their blog on Monday. Unfortunately, this post has spiralled-off into a series of misinformed articles stating that Google has launched an e-reader. They have not. I promise. Manufacturers like iriver can use Google Books APIs and services to connect their devices to the full Google eBooks catalog for out-of-the-box access to a complete ebookstore. This is not Google’s e-reader. 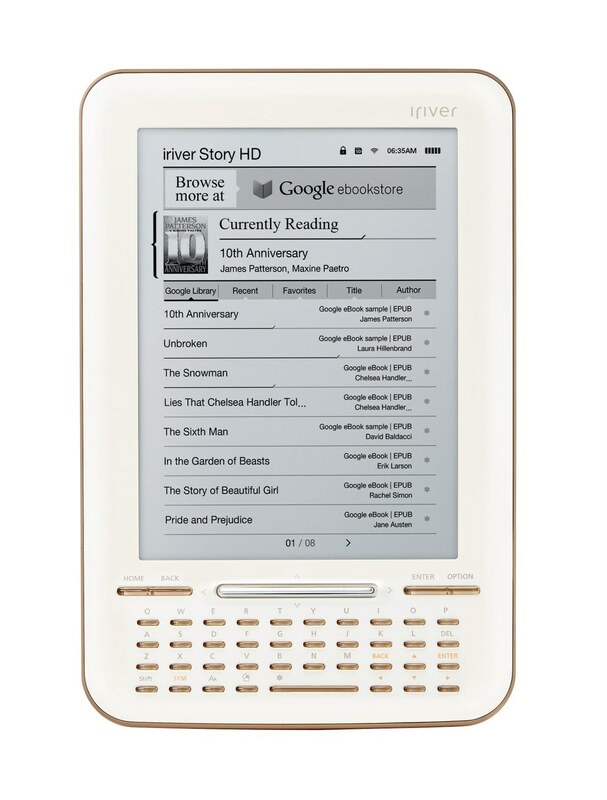 Instead, it is an e-reader built by iriver and called the Story HD that has taken advantage of Google Books APIs and services to create built-in access to Google eBooks. Google made an announcement about the device on their blog because it’s the first device with built-in access to Google eBooks at launch and that’s exciting. To put it another way, saying “Google e-Reader” is the same thing as saying “Kobo PlayBook” (thanks to Kelvin Kong for that one) where the BlackBerry PlayBook comes pre-loaded with the Kobo app. Think of it like a pre-loaded app: iriver made the device, Google made the access to e-books.